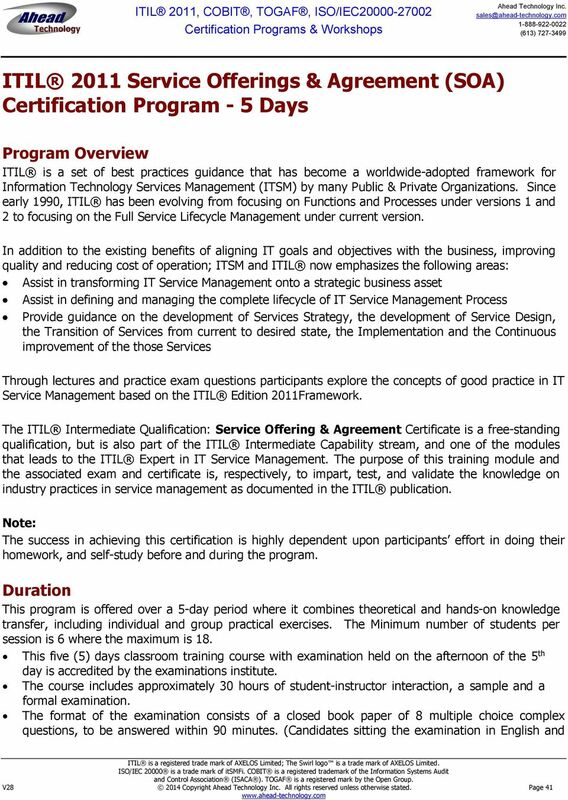 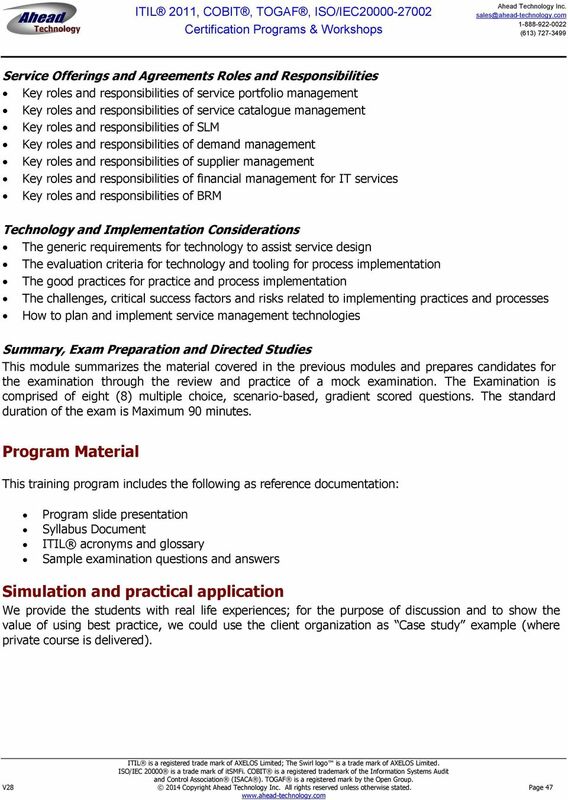 Download "ITIL 2011 Service Offerings & Agreement (SOA) Certification Program - 5 Days"
ITIL: Service Offerings & Agreements Course Course Chapter 01 - Course Lesson: Course Organization Welcome to the Course! 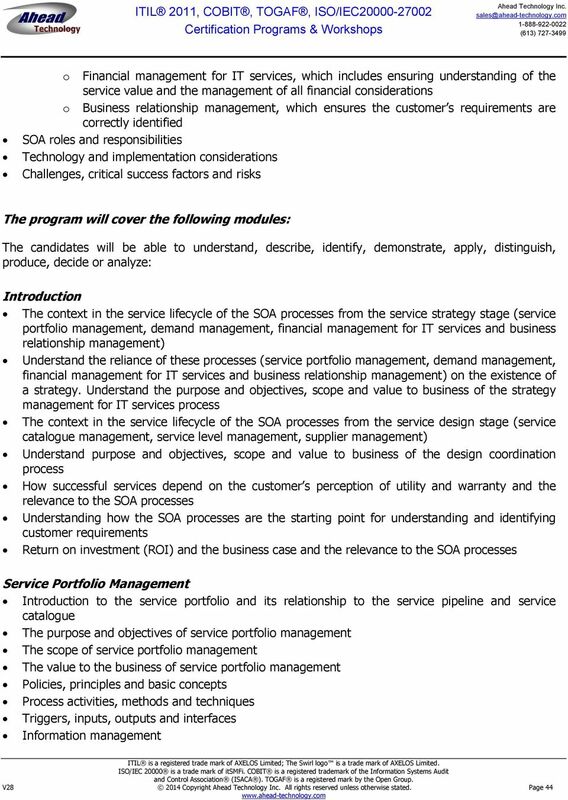 Mentoring Community s Why Are You Here? 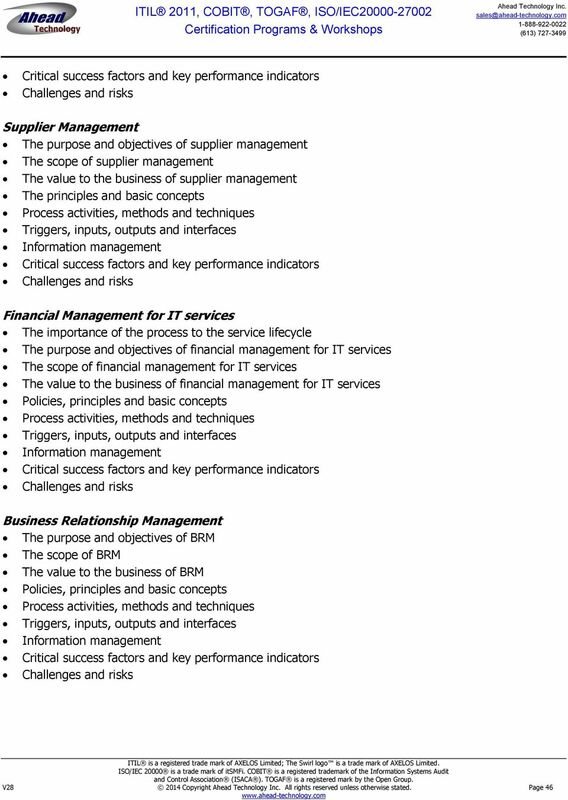 Using Bloom's Taxonomy What Do You Expect? 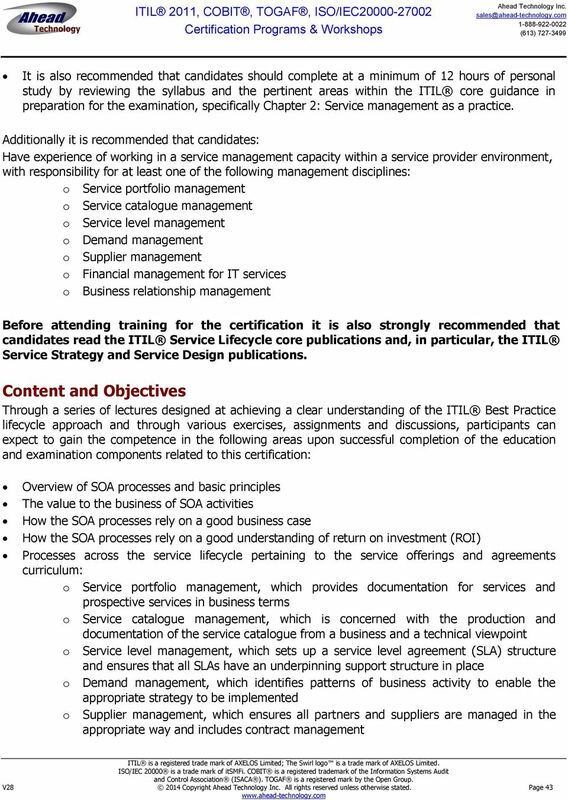 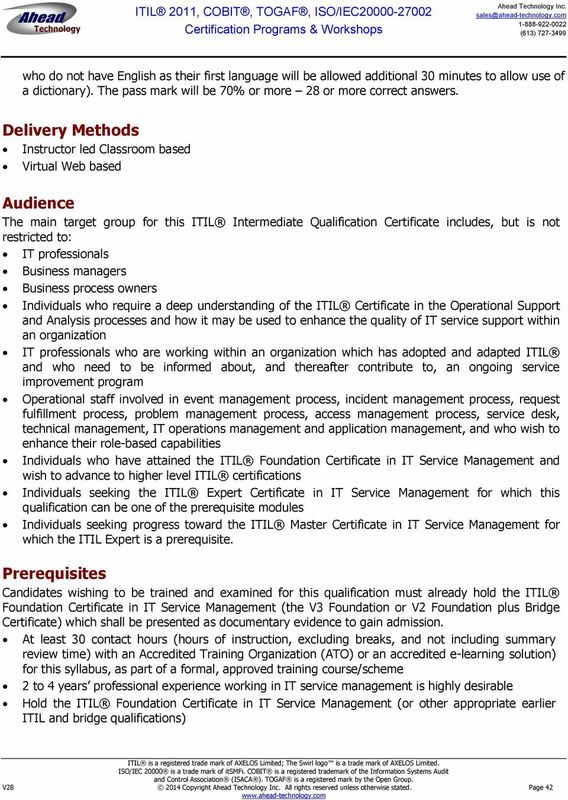 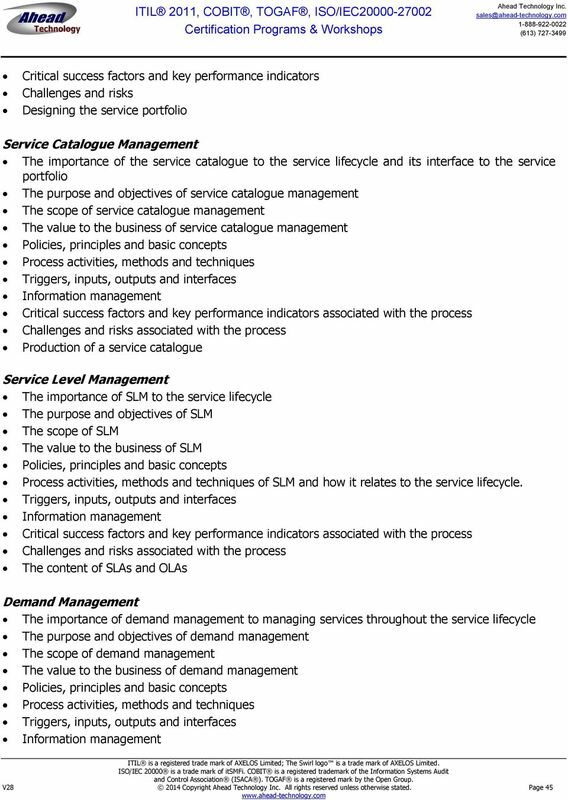 ITIL Foundation V3 Walaa Omar Service Lifecycle Mapping Service Catalogue Management Service Catalogue Management Objectives To provide a single source of consistent information on all of the agreed services.